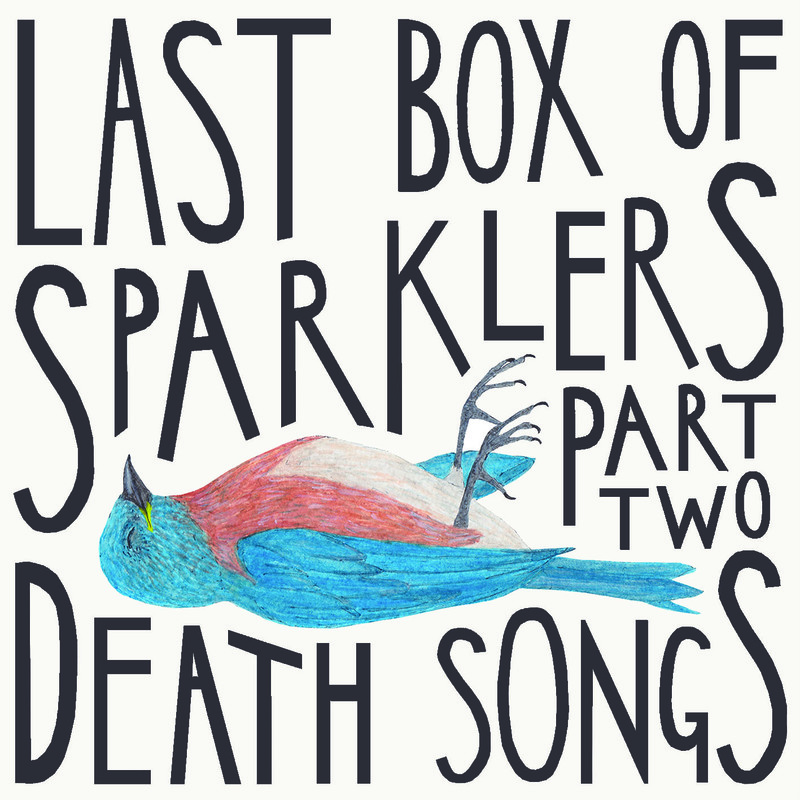 Here’s the finished cover for the Last Box of Sparklers album (which you can listen to here http://lastboxofsparklers.bandcamp.com/album/death-songs-part-two and here Last Box of Sparklers – Death Songs (Part Two)). Today I’m working on an album cover for Last Box of Sparklers, which involves a watercolour painting of a dead bluebird and lots of Photoshop lettering. 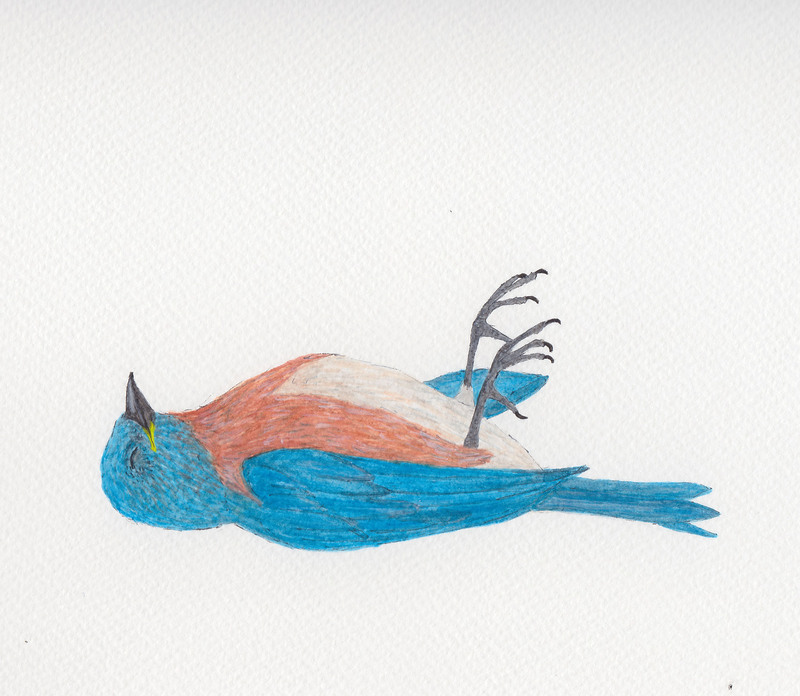 Drawing dead birds is a pretty miserable activity so I’m trying to believe that they’re only sleeping. Despite the fact that I’m using internet references rather than drawing from ‘life’, my mind is still flooded with memories of all the fragile baby chickens and pigeons and starlings that I’ve met over the years. After more than a week of sunshine and blue skies it’s back to rain and grey. 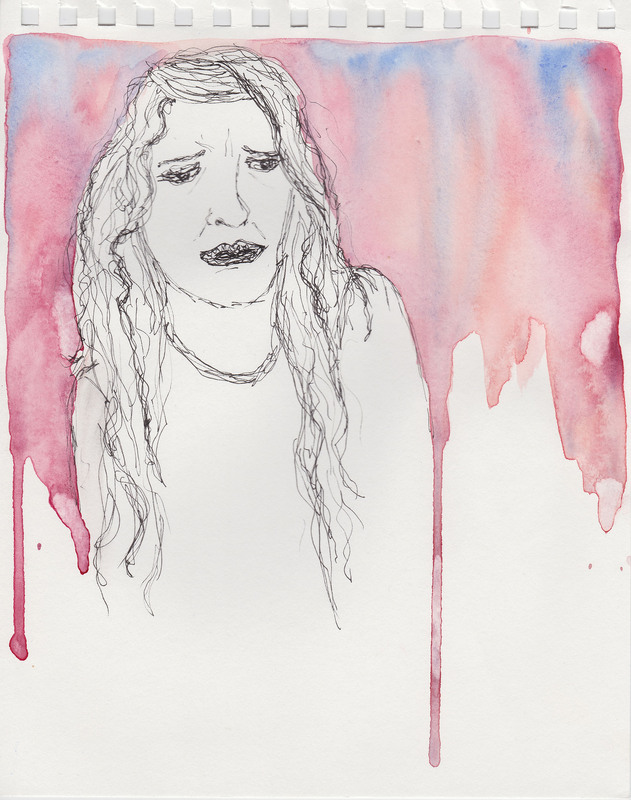 I’m snuggled up with my art stuff and music (the fantastic Jennie Abrahamson, who I saw in concert last night), enjoying a cosy Sunday but also hoping that the sun will return soon.